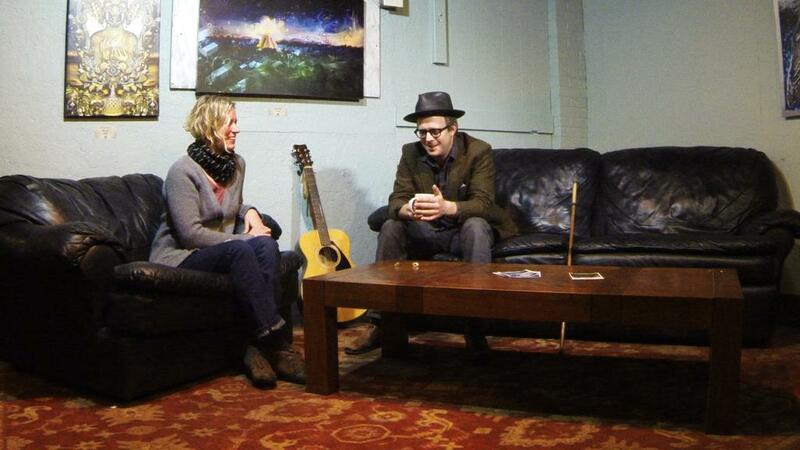 Interviewing musician Woody Pines for a video. Maybe it’s that he’s a fellow WOH (wearer of hats), but I always feel at ease around Woody. This entry was posted in Music and tagged interview, music, video still, Wood Pines. Bookmark the permalink.